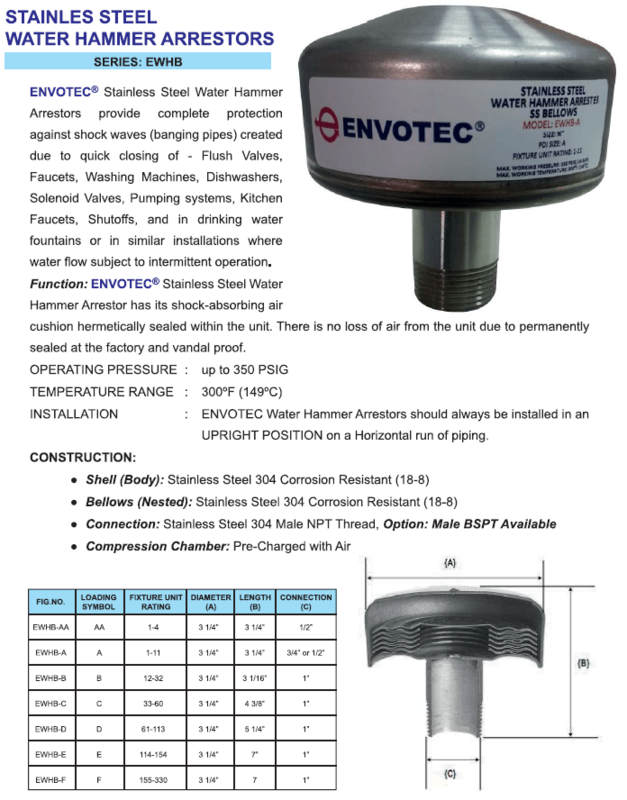 SS SERIES pre-charged all stainless steel shock arrestor with stainless steel bellows, and male threaded connection. 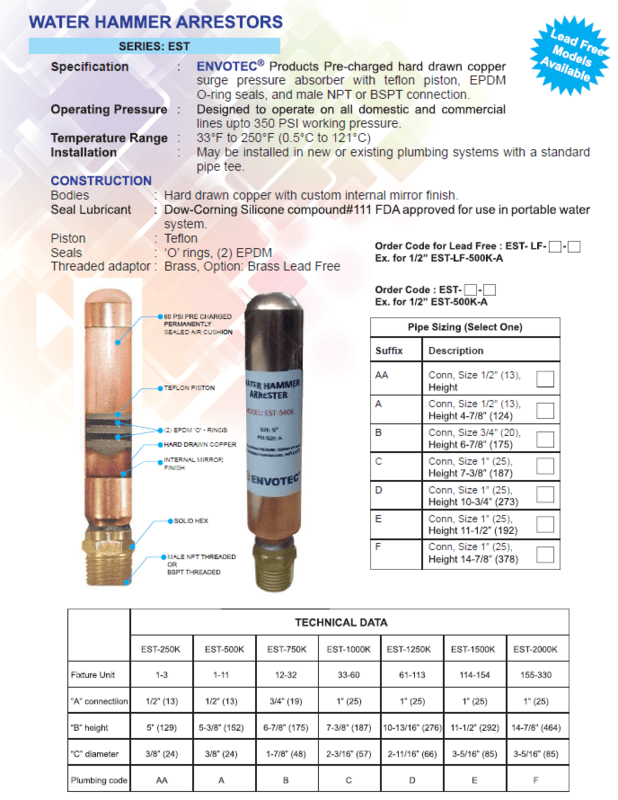 Series 15M2 Water Hammer Arrestors are used in commercial and industrial applications to control water pressure shock and prevent water hammer conditions. The noise from banging pipes is caused by shocks of high speed water flowing in the piping system when a fixture is suddenly closed.